As the world of digital marketing continues to become more integrated it is increasingly difficult to analyze your metrics across various channels. This is particularly true when it comes to attribution. Late last year Facebook launched a new attribution tool that allows you, for the first time, to easily compare data across all of your paid channels at the same time. If you’re running ads across multiple channels, you won’t want to miss this episode. Andrew talks about the Facebook Attribution tool’s best features, how to set it up, and why you should start using it right away. 5:48 Facebook’s new Attribution tool: what it is and how it works. 7:53 Some of the common issues people run into with attribution. 11:58 Why you should start using the new Facebook Attribution tool. 15:26 How to set up the Facebook Attribution tool. 18:48 A big benefit of the Facebook Attribution tool? Discovering hidden profits. 19:30 The difference between various attribution models and the questions to ask yourself when you’re setting things up. 24:47 Andrew shares his advice on choosing an attribution window. 29:10 The dashboard you’ll see once you set up Facebook Attribution, and how to use it to start digging into your data. 31:38 The three most valuable things Andrew recommends looking at within the Facebook Attribution dashboard. 37:11 Why it’s absolutely worth your time to set up the Facebook Attribution tool. If you liked this episode, you’re going to love the Brand Growth Experts Membership. 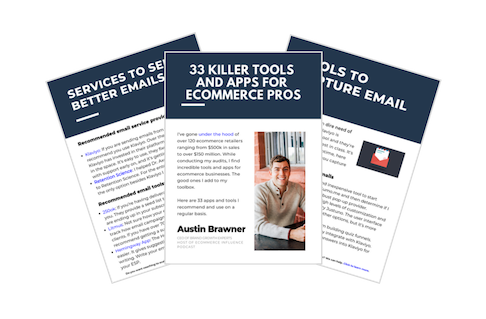 It’s a community of top ecommerce business owners and marketers who I coach one-on-one to help scale up their businesses. Together we’ll create a plan that will help you scale up your business, and then I’ll help you execute it. If you want to make sure you’re growing as quickly and sustainably as possible, click here to learn more. Hope to see you on the inside! This episode is brought to you by Shoelace. Shoelace helps fast-growing ecommerce stores tell their brand story, increase conversions, and grow revenue through Customer Journey Retargeting. This personalized approached to retargeting shows the right customers the right ads at the right time based on where they are in the buying journey with your brand. Whether a visitor is discovering your brand for the first time or a loyal repeat-customer is considering a purchase from your latest collection, they’ll see tailored ad content that evolves like an engaging story in the days and weeks following their visit. Shoelace’s automation platform makes it a breeze to run memorable retargeting experiences. Visit ecommerceinfluence.com/shoelace and get started on working with Shoelace today. Mention “Ecommerce Influence” to claim a special offer during your free trial! Today’s episode is brought to you by Klaviyo. Over 10,000 brands have joined Klaviyo to help them build higher-quality relationships with their customers. Klaviyo does not force you to compromise between speed and powerful functionality, you get both. Interested to see Klaviyo’s impact? Tune into their 12-part docu-series following three brands—Chubbies, SunSki and the Love Is Project. You’ll learn how they prepared for Cyber Weekend 2018, marketing throughout the holidays, and beyond. Along the way, we’ll fill you in on what you should be doing as a business to push your marketing strategy to the next level. Also, as you’re going through this, they’re going to show you how to prepare the business to continue to take it to the next level segment and grow and use it to use Klaviyo to drive more profitable interactions. If you want to go check out this docu-series, go to www.ecommerceinfluence.com/beyond. Austin Brawner: What's up everybody? Welcome to another episode of the Ecommerce Influence podcast. My name's Austin Brawner. Andrew Foxwell: And I'm Andrew Foxwell. Hey. How in the world are you doing? Austin Brawner: Oh, I'm good, man. I am relaxed. I am feeling tan. Feeling refreshed this new year. Spent about two weeks in the Caribbean, which I had never been to before, with my family over the holidays. It was incredible. It was very refreshing. Came back feeling ready to go for this new year. It's a new year, new me, refreshed. Andrew Foxwell: Totally. Absolutely. Yeah, I'm on a nut only diet now. No, I'm just kidding. I'm not. Yeah, hey. We came out to California for the holiday, and it has been glorious, I must say. Waking up and feeling the sun versus the cloudy, gray, cold Wisconsin, which I love dearly, has been very, very nice. We are also feeling it. Austin Brawner: You are a surfer now. Andrew Foxwell: Yeah. I mean, pretty much. Yeah. It's me, Laird Hamilton. We're always hitting the waves. Not a super big deal. Yes, I would say I'm an expert level at this point. Actually, that's totally false. Not very good at all, but I am taking the idea of James Clear, who wrote the new book if you haven't listened to it, or haven't read it, Atomic Habits, where he talks about habit formation and talks about the fact that in order to truly form habits, you actually need to change the mindset. Instead of saying, "I am somebody that is trying to learn to surf," you say, "I'm a surfer," and that starts to create the habit in you. That's what I'm saying, I'm saying I'm a surfer now. That is hopefully going to be my habit. Austin Brawner: I think that's great. I think that's key with the habit formation. That's exciting, man. I tried to get out and do a little snorkeling and diving out there, which was a lot of fun, and yeah. No, I love being in the ocean. It's very refreshing. Today, I think we have an episode that will be very helpful for you guys in the new year. Today, we're going to be talking about Facebook's new Attribution tool. We're going to go over kind of the best features, how they work, and Andrew's going to explain how to begin using it right away. Andrew Foxwell: Yeah, absolutely. I mean, this is a tool that we have known Facebook has had in alpha for a long time, and then into beta, and has used it. There are a lot of features of this that are pretty interesting. Not a lot of people know about. I would say it is useful. It's something that I have found particular value in, especially for things of longer attribution windows, and we'll get into that. It's a really nice tool to utilize if you have multi-channels running, right? You have search engine marketing running, Facebook running, Instagram Paid running. You get an idea of how those things stack up against each other. You can really start to look at things like organic versus paid, et cetera, and start to really get an idea better of multi-touch attribution, which is something that not a lot of us, I would say, we know happens, but we don't know how to explain it, necessarily, so that's really why we're talking about it today. Austin Brawner: Well, it's a huge problem. This time of year, when you're trying to budget and decide where you're going to put some of your ad spend, where you're going to put advertising spend, are you going to put it towards content marketing efforts, Attribution is really key in trying to help you make some of those decisions. Just before we dive into it, could you explain a little bit what the new Attribution tool is and does? Andrew Foxwell: Absolutely. The Attribution tool sits within your Facebook ad manager, or within your business manager, and it allows you to basically connect your Facebook Pixel, your Facebook ad account, along with any other paid channels you are running. It does not include Snapchat. You can't pull that in yet. You can't pull in Pinterest yet. If you're running things like Google Display, you're running things like SEM on Bing or Google, you're running things like any affiliate programs. I mean, pretty much anything else. There's like 85 things that it connects into. You will be able to automatically integrate with Facebook Attribution. Then, it allows you to basically look at the data that's being pulled in from those particular places and line them up next to each other. It allows you to do things like, okay, you're looking at the data of how it's contributing to sales. You can also look at things like incremental impressions, and look at things like what Facebook is using AI to guess how many that has brought in, and we'll talk about how it does that. It allows you to customize your attribution models, to pull out to longer windows, and looking at those longer attribution windows, too, so the model itself of how do you want to go forward? It's not just one thing or another. It allows you to pull into a lot of various ways, like even credit or positional attribution modeling, and then allows you to look at things like a 90-day click and a 90-day view, which up until this point, we haven't really been able to do, unless you go back and look at your ad account later, and you see that the conversions have increased. This tool does a lot, basically. It allows you to kind of look at things together for the first time in one tool that makes a lot of sense, frankly. Austin Brawner: Sure. What are some of the issues that people run into, either with attribution and with the Facebook Attribution tool? Andrew Foxwell: Yeah. I mean, common issues that you'll see, and the reason I want to go through common issues is because a lot of Facebook advertising, and a lot of advertising in general, digitally, we all feel this, "Am I insane?" feeling. "Does this make sense?" If you've seen this, know that it's okay, which is like cookie-based data discrepancies are the biggest one, right? A lot of Facebook or a lot of advertising, excuse me, is based upon cookies. Google Analytics measures in a cookie basis in a lot of ways. Display looks at cookies in a lot of ways. You're not able to fully get a picture if people, let's say, clear their browsing history every time they close Chrome or something, right? There's a lot of data discrepancies based off of that cookie not being a part of it that you have, and you're not able to understand the full linkages of those things. Other things are like refer URLs, so HTTPS is an issue where they're secure browsing. Some of those secure browsing things that you click on, if it's a secure site, not going to be able to track. Some providers may underreport things like Facebook conversions by as much as 40% in some cases. This is a statistic, so take it for what it's worth. It's from Facebook, but it's true, and I've seen that happen, where you look under HTTPS, and traffic just falls under Google Analytics under that direct/none source media, right? You're just like, "There's no way that everything came in under the direct/none," right? Another common issue is your Pixel implementation is incorrect. If you don't have the Facebook Pixel Helper, which is a Chrome extension, and you aren't checking that on your site, that's an important thing to do. I've seen it a lot where people have the add to cart firing twice, or it'll fire on a purchase, right, where it'll fire on a purchase when you've only put in your email. There's wonky stuff like that, and so using that Pixel Helper can be really helpful, but that's another really big common issue. Another one I would say is multiple ad accounts are being used, right? Some people might have a performance account and they might have a brand account. I was just talking to a really massive brand this week, actually, earlier, and was going through an audit with them and kind of chit-chatting about things. They're spending, to give you an idea, spending a little over $7 million a month on Facebook direct response. Then, they have a brand channel, too, which is a whole other segment of about $5 million a month. Well, if they're under different ad accounts, how the heck are you supposed to know what is going on? I mean, and other people do this, too. They'll have one account that they'll maybe run with an agency, and then they'll have their own account that they're also sometimes running ads under to see if they can compete and beat the agency. I've never really understood that model, but if you're not pulling those two ad accounts in, or multiple ad accounts, that can be an issue, too. That's commonly where people run into issues. I think a lot of times, maybe the final one I'll say, is we sell ourselves short, right? We sell short the performance that Facebook, in particular, delivers for us, and organic efforts deliver for us. We don't necessarily get an idea of it, because it's not like Google SEM, right? Google SEM is demand capture, you're capturing that demand, and Facebook is you're trying to generate demand in a lot of ways. It's going to take a longer time for people to convert, and a lot of times we miss out on that, by only looking at the Facebook Ad Manager, which measures in the last click model. I mean, it's measuring within. It measures in basically a one day view, 28-day click. If things fall outside of that, you're not going to see that. With Attribution, you start to see that. Austin Brawner: Sure. That makes sense. Just to go back over it, because you mentioned it briefly, I believe, the Facebook Attribution tool, I know it pulls in multiple channels. Can you explain what exactly that means? Andrew Foxwell: Yeah, so you can pull in Google, you can pull in paid efforts on Bing, you can pull in certain Display networks. If you're running things under some sort of ad exchange, you can pull them in. Essentially, it pulls in multiple channels, which means you can look at them all lined up next to each other, which is big. A lot of times, I've actually seen Facebook, it tells you what your top channels are, and Facebook is, a lot of times, not the number one channel. That's a good validation, right? It's showing that, really, a lot of times you'll see the Google organic is your number one channel, which makes sense because people are searching for you. Austin Brawner: They may be searching for you, also, after seeing a brand ad or something, going and searching for a review. That's often a way that people work on it. Just to be clear, though, you mentioned multiple ad accounts being used. Facebook Attribution tool doesn't help you if you've got multiple ad accounts beings used. Can you put in multiple ad accounts or you're still in a position where you can? Andrew Foxwell: You can. You can pull in multiple ad accounts into one, yeah. Basically, we'll go through how to set this up, but it's called a line of business, so you can kind of pull things in that way, yes. Austin Brawner: Awesome, awesome. Cool. Anything else people should know why they should use the Facebook Attribution tool? Andrew Foxwell: I mean, the biggest value proposition is you can customize that attribution model, as we talked about. There's not a lot out there about attribution models, and we're going to go through these more in depth, but you can use things like even credit, you can use things like positional, you can use an attribution model like time decay. You can start to say, "How do I want to think about the way that people travel through my funnel?" Right? The other one is the longer time windows. That's huge. I've had an account that their average order value is higher. It's about $171-ish, $172. We were able to use the longer attribution model, pulling out a 90-day click, 90-day view, which is the widest you can do. Some people would say, "That's crazy. I'm not going to look at that." We were actually able to prove that Facebook and Instagram actually drove 10% more conversions and were a part of 10% more conversions under the attribution model we'd set, than what we had previously thought. Right? It was more impactful than what we had originally thought it was, which was pretty cool. That's a big one of why it's really, really helpful. Then, you don't have to just look by channel. The final thing I'll say on the why, is you can also look by campaigns. You can look at your Google AdWords campaign, you can look at your Facebook campaigns next to each other, and you can look at what it's actually doing to drive sales, and conversions, and visits, et cetera from there. Those are really, I would say, the biggest whys. Then, the final one I'll say, actually, the final final is this: artificial intelligence. It basically uses this data modeling technique to find out how many incremental impressions if you had not had those ads running you would have missed out on. There's some AI as part of it, which is pretty cool and pretty interesting. Austin Brawner: Awesome. Well, so as people, somebody says, okay, listening here, "It sounds interesting." How do they actually set this up the right way? Andrew Foxwell: Yeah, definitely. You go into, under the top navigational menu, so you click on the upper left-hand corner within your Facebook ads manager, your business manager, and you go under the measure and support section, and you should have Attribution as a line item under there, or a menu item. You're able to click on Attribution, and then if you've not set it up before, it brings you into this segment called lines of business. You get to say, "Okay, am I a single brand? Do I want to set this up for just my company? Am I an agency, where I can set this up for multiple accounts and attach different accounts under that? Or, am I looking at it from multiple lines of business in different verticals and countries?" Okay, so many times, I work with a huge outdoor brand, and they have operations in the UK, Germany, Australia, Japan, you get where I'm going, right? Multiple countries. A lot of the times, these different countries and verticals don't interact with one another. If you have that, or you want to understand that, you can actually start to bring these things together, and see, okay, if somebody goes to the US website, and then they convert later to find a retailer that sells this particular product on the Spain site, you're able to see that. You get to basically determine which one you want right off the bat. Single brand, agency, or multiple lines of business. Then, from there, you go through and you group and select the ad accounts and data sources that you have. If you have an app, you can pull that in. If you have offline conversion data, you can pull that in. Most people don't, so most people, it will just be your ad accounts or your ad account that you want pulled in, and data source meaning the Pixel. If you have multiple Pixels, one Pixel, you're able to pull that in there. That's the first thing that you do. Then, you basically let it start to accumulate data. Then, the final thing is it'll bring you into a default screen, and at the bottom, it'll say processing data. There'll be a little progress bar at the bottom. Then, you add under settings your other platforms that you want. Google, Bing, et cetera. Those have default integrations. It gives you fairly clear explanations of how you bring that data in. That's basically how you set it up. It's not incredibly complicated in a lot of ways. The thing that I would say is a little bit annoying about it is, it only starts to pull the data from the point of which you've actually activated that. You have to wait 72 hours or more to really have it be useful. I have found that it's the most useful after about a week, because there's data flowing in, and you get a better diversity of data. That's basically all it takes to set it up. It's not incredibly complicated. Somebody sent me a screenshot the other day of an agency that was charging $1,000 for setup of Facebook Attribution. I was like, "Well, that would be an easy $1,000 to make, because it takes about 10 minutes in a lot of ways." Austin Brawner: Yeah. To put it in perspective, while Andrew was walking me through it, I just set it up. Andrew Foxwell: Yeah. There you go. Austin Brawner: I just made $1,000. Andrew Foxwell: Yeah, boom. Well, the interesting thing about it is you could potentially uncover thousands of dollars of revenue you didn't know that came from a channel that was maybe more valuable than you thought. It could be a way to discover money, which is interesting. That's not a false claim, it's just reality of what it shows you, which is pretty interesting. Yeah, so that's what I would say in particular to getting it set up. Austin Brawner: Like Andrew said, I just went through the setup process. It's relatively straightforward to go through and set it up based on what he said. Once you get it set up, now we got to start thinking about attribution models in windows. What is the difference between attribution model and attribution window, and how do you think about the two of those things, and what are some of the options you can actually select? Andrew Foxwell: Okay, so this is really an interesting one, that I don't think we collectively and I will admit, that I haven't done a good enough job communicating to those of you listeners and my clients as well, of talking about the importance of attribution models and the importance of attribution windows, okay? What we've talked about a lot is how to change performance on audiences and creative, etc. This is an incredibly important thing to think about, and let's start with talking about attribution models, okay? The attribution model is basically the definition of how you want to measure those who come into your site and convert. Then, the window is the time period you want to measure data within based off your attribution model. Most of us accept the default attribution model that Facebook gives us, but there are a number of other attribution models that Facebook has as default within this Facebook Attribution tool. Let's go through some of those. The first one is even credit, okay? The even credit one gives an equal percentage of the credit for a conversion to each touch point on the conversion path. If you consider that people will see a Facebook ad, maybe to get introduced to you, then maybe they see a remarketing ad on Google, then maybe they see a YouTube ad, and then they see something on Instagram, and finally convert, all four of those share 25% of the credit for that conversion. The credit being 100% of the credit, right? That's an even credit model, which is, it gives equal weight to everything along the path. Now, what we've been doing a lot of, and what the Facebook Attribution or excuse me, the Facebook Ad Manager does is the last click or visit, which gives 100% of the credit to the last thing that happened. That's not maybe the best idea either, right? There is a whole bunch of other stuff that happened before then that is probably part of it. This is how a lot of us go through. If you're using Google and UTM parameters, right, and you're using Google Analytics, you're probably using a lot of last click or visit data. Particularly last click. You're measuring off of they clicked and they converted, which is not necessarily the right way to do it, in my opinion. 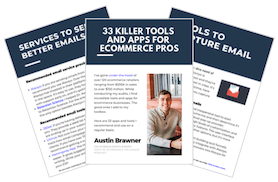 Austin Brawner: That's where a lot of that's going to go to retargeting, because somebody might see initial one, get retargeted, finally make the click, and it gives 100% credit to that, versus splitting it up and giving some credit to the initial advertisement that piqued their interest to go to the website. Andrew Foxwell: Exactly, exactly. Then, there's last touch, which is essentially like a last click or visit, and it gives 100% of the credit to the last click or visit that happened, and if it wasn't a click or visit, it's going to credit the last impression. Okay, so that's the last touch model. Then, Facebook gets into some interesting ones that are very popular, which is positional, okay? Positional modeling gives a specific percentage of the credit for a conversion to the first and last touchpoints on a conversion path, and then the remaining credit is distributed evenly across the other ones that happen. It says the first thing is the most important, and then the last thing is really important. Then, the other one it gives, and there's different percentages of positional that Facebook gives you, and then there's time decay. Time decay gives an increasing percentage of the credit for a conversion to touchpoints as they get closer in time to the conversion, okay? I really like this time decay model, because it makes a lot of sense, right? If you think about the way that we browse through the internet, you might go through and you might see, by the way, I should say, this also pulls in email, which we haven't really talked about. This does pull in your email channel, and you'll be able to see that as well, which is really, really cool. With the time decay model, many times what people do, is they're going to maybe see a Facebook ad, maybe they'll see something on Instagram, maybe they'll see something on Google, and maybe they'll get an email. Then, eventually down the road, maybe they see an email and then convert, okay? It's going to give more credit, basically, to the thing that's closer to the conversion, which makes sense, right? That's the thing that finally did it. A lot of times, email's really good at that, because email is written, it's convincing, it's interesting, and it gives them an offer at the right time, which email in combination with Facebook can do a lot of really powerful stuff. That time decay model is interesting. All I'm saying is that when you start to set this up, have a conversation with you, with yourself, like I do, or have a conversation with your team, or your team members, and say, "How do we want to think about this?" If you've never thought about it, go through the options, right? Think about, "Do we want to look at what the differences between an even credit model, or a last click, and a time decay model?" Right? How valuable is Facebook as we get closer to a conversion, or how valuable is email as we get closer to a conversion? Try to just kind of mess with that a little bit, I would say, as you think about your attribution models. Austin Brawner: As you work your way through the models and you figure out, okay, let's say you want to take a look at the time decay. You've got that figured out. What are some of the windows that you are looking at? I know you mentioned a 90-day window on the longer side, but what type of options are there for windows you can look at? What are you typically going with? Andrew Foxwell: Yeah. I mean, there's tons of options and tons of windows. I've been saying to people it's like a glass factory up in there. I mean, it's just so many windows. There's everything from a one-day click and visit to a one-day impression, to I think there's over 30 options it gives you. Things like a 14-day click and visit, one-day impression, 14-day click and visit, 14-day impression, et cetera, et cetera. For me, I like to initially keep it at a 28-day click and visit, one-day impression. It's interesting to me. It's different than what Facebook's pulling in, the Facebook Ad Manager normally would only look at a 28-day click, one-day impression. This starts to look at click and visits, and a visit meaning, that they've gone there, which is nice and starts to pull that in. That's the one I use as default, but I like to experiment, then, with looking at that wide one, of the 90-day click, 90-day impression, 90-day click and visit, 90-day impression. The reason for that is I just am interested incrementally what's happening between those numbers, right? If I see a 30% lift in a channel, let's say, like Instagram, or on email, I can know that, "Oh, okay. That's actually something that is longer tail for a conversion but actually is valuable and allows me to drive budget that way." If you have a client, if you're an agency or a consultant, and they're fairly narrow-minded about this, one thing you could that I've done, is I've gone through and basically just set this up for them, within their business manager, which is how you should set it up. If you're an agency, you can set it up and then be connected to their Attribution tool via business manager, but they want to set it up themselves, and then I'll go through and create videos for them. I'm like, "Here's what the differences are between Facebook and Google," and I've walked them through some of those things to show them the value of things as we start to look at longer windows. Then, it's justified spend. As we all know, Facebook and Instagram's way more competitive. So is Google. I mean, things are just getting more expensive, so the more value you can talk about in terms of driving longer tail conversions. That's not disingenuous. That's true, and it helps to paint a bigger picture of the impact you're really having. That's something you could do as well. Those are some of the time windows, and there's a lot. I would just do some experimentation and some differences. You may not see a big difference. If your product's under $50 or $75, you may not see that a bigger time window does much for you. If you have a more expensive product, it might be helpful. Austin Brawner: To put it in perspective, we talk about Facebook and Instagram getting more expensive. Yes, they are getting more expensive, but you guys must remember that they're still extremely cheap compared to more traditional mediums. That's where, when you're trying to look at where the impact of your spend, and you're trying to see how long does it actually take for somebody to make a purchase, it allows you to get a better idea of how much you can spend. It's still a place where if you compare it to, let's say, direct mail, or traditional advertising on television, even podcasts, you can still get a ton of value there, and it's a good way to be able to figure out how long it actually takes. Andrew Foxwell: Absolutely. I completely agree with you. Yeah, so that's really how you start to go through it. You set it up. Then, you go through and look at the model and the windows, and you start to have a conversation about that, which is hopefully illuminating. Then, the next thing is you can start to look at these dashboards that are within the Facebook Attribution tool. Austin Brawner: These dashboards are where you're really going to be able to tell where your top sources are, your paid, organic. Can you break it down, kind of what people should expect once they set it up? What they're going to see on the dashboard, and how they can use it? Andrew Foxwell: Absolutely. Basically, the way it goes is there's a main dashboard that you have when you start to pull this up, and the main dashboard looks at things like it'll break down your paid, organic, and direct. Again, this is based on that attribution window, and the model that you've set in the upper right-hand corner of Attribution, right? Hopefully, I mean, for those of you that are following along, whatever you set up there, it's now going to have on this performance dashboard, it's going to have the paid, organic, and direct. Then, it starts to get into conversions, visits, sources. It looks at top sources. The cool thing is that on the top of this, under each of the sections that you have, underpaid, you can click on view report, which pulls you then into a breakdown of the paid report, and the same thing for organic. You're able to actually click into each of these things, and start to look at the paid sources next to each other. Okay, so that would be things like Facebook paid, Instagram paid, Google AdWords paid, whatever, and then you can look at organic as well. Organic, it can be looking at things like, what are your top referral sources? I had a client that had been putting a lot of effort into organic content on Instagram and on Facebook, and there was actually revenue coming from those sources that we didn't know previously it was actually driving. A lot of times, you're like, "We do all this posting on Instagram, but we don't know if it does anything." This starts to show it, within the organic channel, which is crazy. The other thing that it starts to show is it starts to look at what other websites are driving stuff to you, which is cool. In terms of sales, maybe you have referral people that aren't paid, but are sending traffic to you, and those people are buying. You can start to look at that. The paid side and the organic side is really, really interesting. It gives you things like the visits, the number of conversions, and the conversion value, and it starts to illuminate that and make that a little bit more clear. Austin Brawner: Awesome. Well, what else do people need to know? Anything else that you feel people should know that you've been using that's been helpful as you've kind of gotten deeper into the Facebook Attribution tool? Andrew Foxwell: Yeah, definitely. A couple of different things. One is under this dashboard area, the performance dashboards, you'll start to see, you'll see stuff that'll be really interesting to you, right? You'll see campaign names. You can toggle between the source and the campaign names. I would recommend that you go into that paid report and look at things by campaign, and start to look at what the difference is between your search campaigns, and your Facebook or Instagram campaigns, and which ones are driving conversions, and which ones are driving actual conversion value, and line them up next to each other. That's really going to illuminate a lot of interesting data for you. The next thing that I would recommend is, under the paid, and you can look at this as well under a custom reports piece, which I'll mention before we go, there is a little checkbox in the upper right-hand corner under your paid area that says "data-driven," and you're able to checkmark that. That's the artificial intelligence piece that Facebook has, and it helps you basically measure if you didn't have these on, what conversions you would've missed out on. It gives you a measurement of incremental impact by a particular channel. It's a statistical model that's developed by Facebook, that then kind of checks itself over time. If you've ever seen the Facebook campaign thing called Test and Learn, which is an idea of, "Okay, we ran these, and it has a control group and holds those people out." It's like Test and Learn. It allows you to basically prove Facebook had an impact for us. If you ever had a challenge for that, you can use Test and Learn to do that, and here's Facebook Attribution giving you that same information of, "Okay, this actually did help us by driving these incremental sales," which is pretty, pretty cool. Then, the final thing I'll say is custom reports. There's a custom report section that it has. You can dive into custom reports, and you can start to look at things, again, by campaigns, sources. You can create a custom breakdown, and you can start to look at things like conversion efficiency, how efficiently your ad drove conversions, cost efficiency, you can look at performance and ROAS. These are two metrics, conversion efficiency and cost efficiency that I had never seen before. It gives you an idea of how good is this ad at actually driving conversions, or this campaign particularly, and how cost efficient is it in terms of getting people to that place to convert or get a visit? A lot of it comes down to just messing around. Those are the most valuable things that I've started to see of the visit conversion rates, and that cost efficiency and conversion efficiency reports under custom reporting in combination with some of the other dashboard stuff. That's really what I've found, and hopefully, you'll start to find some interesting data that you didn't really know. Austin Brawner: One thing about this episode, this is probably an episode that you're going to have to start, listen to, do a little bit of work, wait, revisit. I mean, the first thing going through this whole thing, is you've got to set up your line of business, and then wait a little while. I was telling you in this episode, I set up the Attribution, and now I'm in the position Andrew's talking about, where I am waiting for reporting. What's going to have to happen is, there's a ton of really great information in here. It's also quite technical, and there's step by step, so once you set up your line of business and wait, then you can kind of go step by step, and work through this episode, and set up the model that you want, decide on the window, and start experimenting a little bit more. I think it's been really, really good. A little bit technical, but for those of you who are in it, and are going to be doing this stuff, you should be able to come back and revisit, and review this a little bit, and get it all set up. While it seems like it might be daunting, it's actually not that difficult to do. It's relatively straightforward. Andrew Foxwell: Yeah. It's definitely technical, so if you have questions, of course you can always email me at Andrew@FoxwellDigital.com, and I'm happy to help. Know that the first time I started digging into this, I was like, "What in the world does that do?" A lot of it is messing around, as Austin said, going back, getting it set up, and then going back and listening to this, and see if there are questions you can get answered. That's another thing that I've been working with clients on is, "What do you want to know?" Right? "What are the inclinations you have?" Austin Brawner: One question, Andrew, before we wrap this up here is, all of these things take time and effort to get set up. What would be your big pitch to somebody for why they should spend the couple hours setting this up and using it? Andrew Foxwell: Yeah. I mean, the pitch of why you'd want to do this, is it allows you to see, for the first time, in a Facebook tool for free, I mean, this has been able to be seen in other multi-touch attribution tools that a lot of big agencies or big brands use, but this allows you to see for the first time, for zero dollars, all of these channels next to each other by campaign, and allows you to customize the model and the window to see if a channel is driving more or less impact than maybe you would've believed it did. That's really the value proposition, is it allows you to pull all these things in, show them together, and not look at Google AdWords on its own, not look at Facebook Ad Manager on its own, but it allows you to look at all of these things right next to each other to see, "Hm, if I extend the time window, it looks like this channel was actually more profitable for us, or it drives more incremental impressions than I previously thought." That's really the value proposition of the why you'd want to get this set up. It gives you more information to make more informed decisions than you previously had. Austin Brawner: 100%. Also, just a little bump to get you away from thinking about purely last click attribution, because that can be difficult when you are looking at your budgeting. If you're looking purely at last click, you're going to be dedicating more resources to the places where there's, I guess, I don't know what you can call it. Less friction towards the end of the funnel, but maybe not crediting enough of the top of the funnel, where you're actually opening up and bringing in new people. Andrew Foxwell: Yeah, absolutely. It'd be nice to see some of that feedback, so thank you very much for listening, and hopefully, this was helpful for you, and we'll look forward to being in touch.